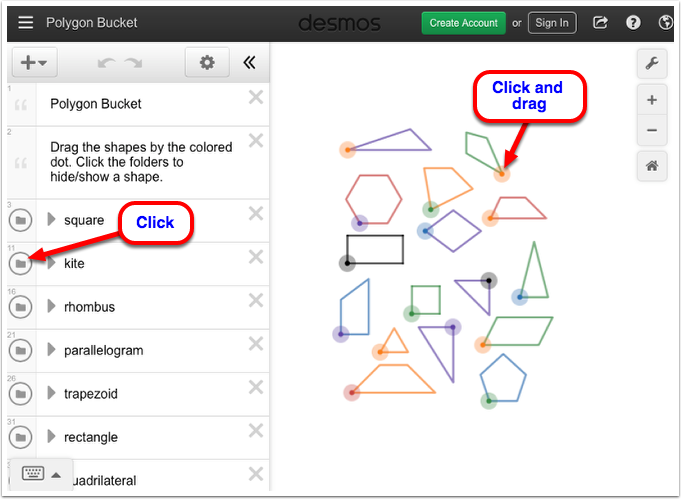 Use this eTool to explore polygons. To move a shape, click the colored dot and drag the shape to where you want to move it. To hide/show a shape, click the folder icon before the name of the shape.